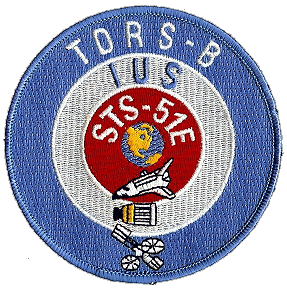 Planned TDRS/IUS deployment shuttle mission. Cancelled due to IUS failure. 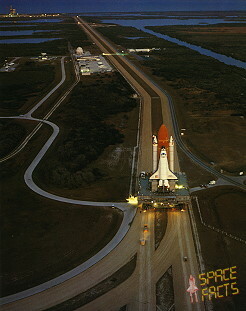 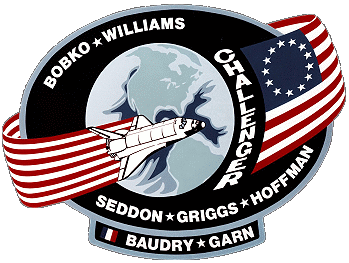 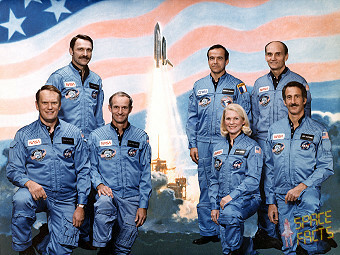 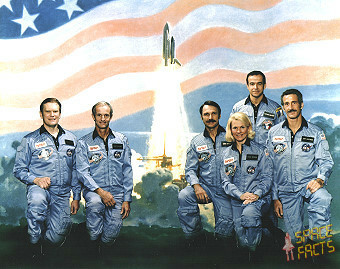 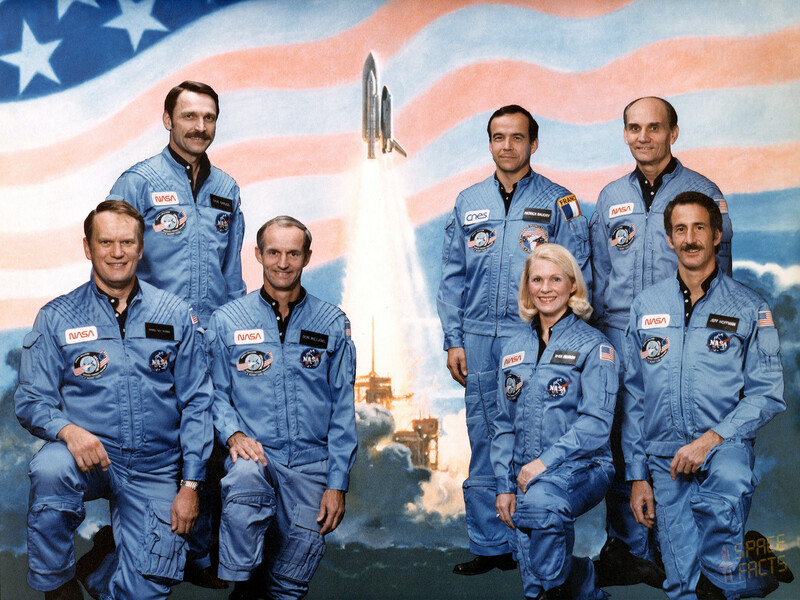 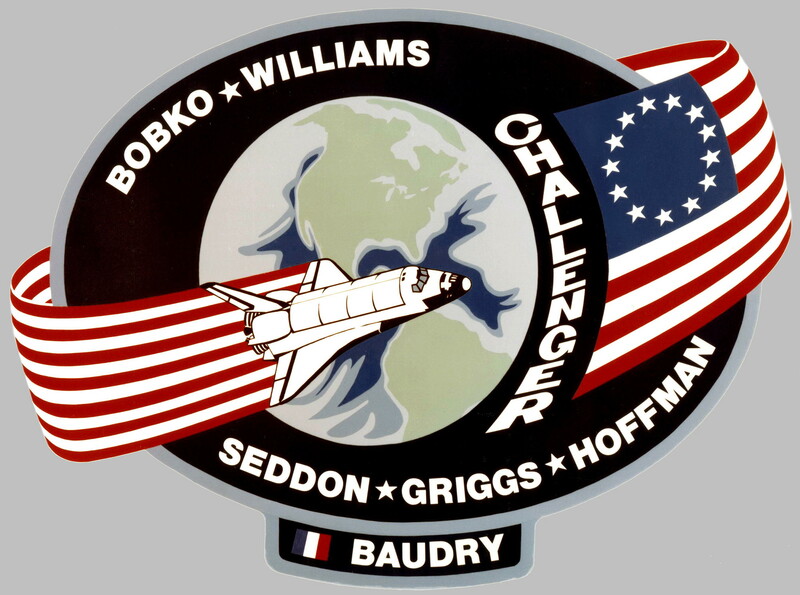 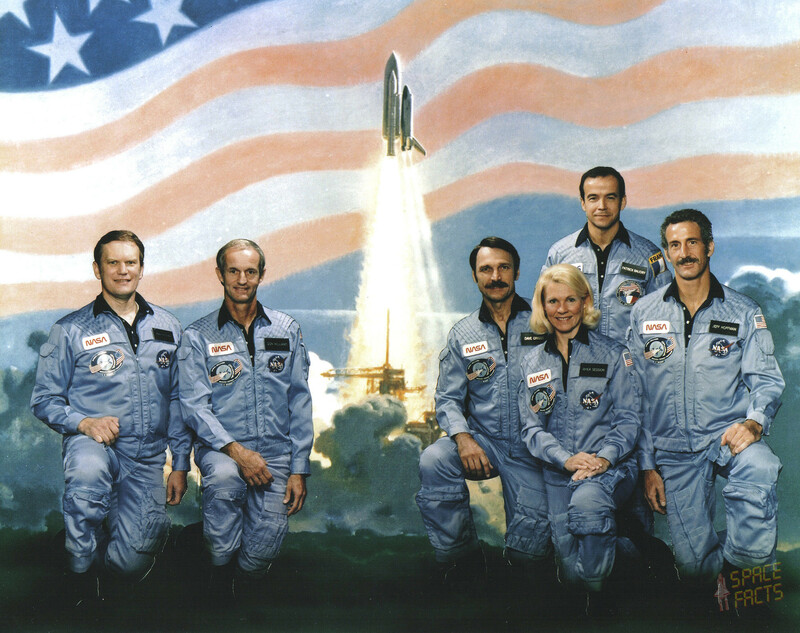 The STS-51E crew was assigned on August 03, 1984 including one Payload Specialist: Patrick Baudry and his backup Jean-Loup Chrétien. 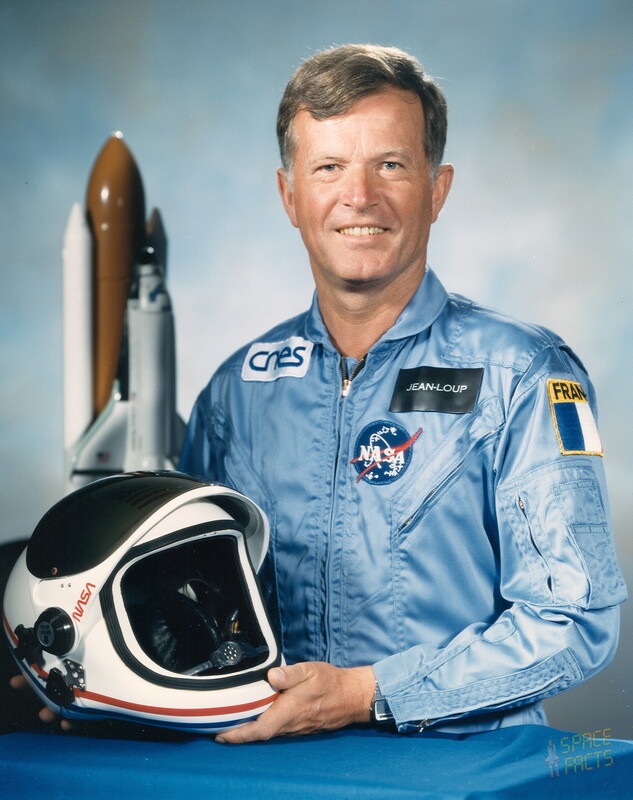 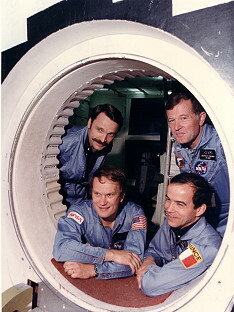 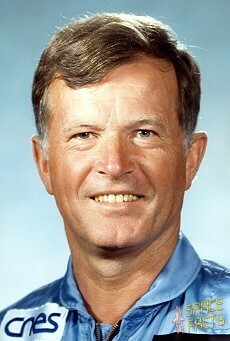 In January 1985 U.S. senator Jake Garn had been added to the crew. So a new portrait and patch had to be made.